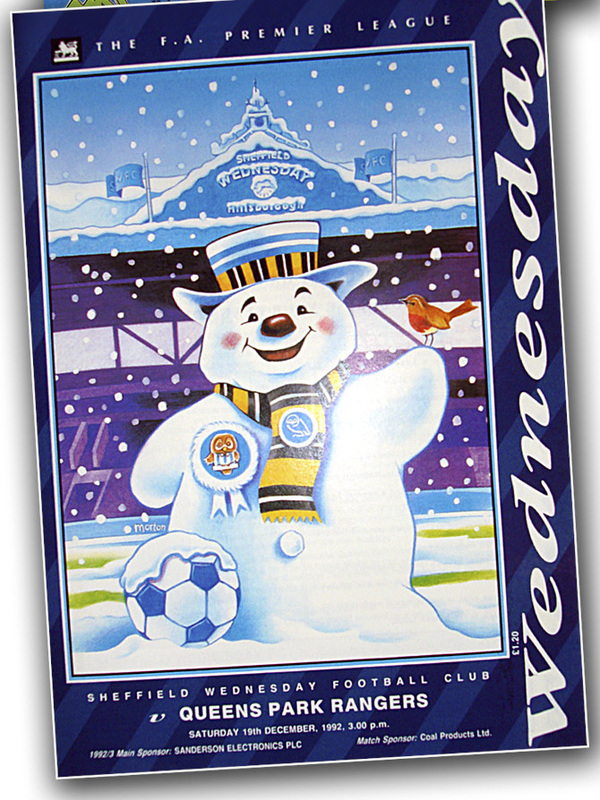 I was lucky enough to get the job of illustrating special christmas covers of the Sheffield Wednesday football programme. This was when they were ‘premiership’ or as then called – League Division One. Lucky, as I was a lifetime fan. I still am.